To submit bids, please complete the following secure online bid form. Alternatively, you may download a faxable PDF bid form. For each lot you may bid by phone, absentee or a combination of both. When submitting absentee bids, please provide your maximum bid amount before buyer’s premium. Absentee bids should be on increment (see list to the right), if the bid is off increment it will be automatically rounded to the nearest increment. 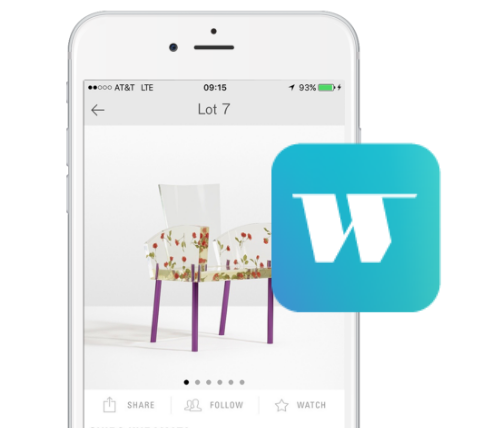 To bid live in real time during the sale, or to submit absentee bids in advance of the auction, download the Wright Auction iOS app today! Manage your bids, track lots and follow along from anywhere using your mobile device! For a complete description of bidding methods, please visit our Bidding page. * additional increments will be at the discretion of the auctioneer. The buyer&apos;s premium added on any lot is 25% of the hammer price up to and including $250,000, 20% of any amount in excess of $250,000. Cannot find lots that match your search terms. Error loading search results. Please try again.